So, Falcon 9 successfully made a successful liftoff and Dragon is currently already docked with the ISS! Good news! But wait, it gets even better, the First Stage landing back in the Atlantic Ocean (a first of its kind!) was GOOD!!! SpaceX will release more details in the coming days, but what they have up to now is that the MECO 1 (Main Engine Cut Off) happened at around 100km altitude and then Falcon 9’s First Stage flew back and attempted a successful splash down in the Atlantic Ocean. On board computers gave telemetry for another 8 seconds after splash down. They even made a video (that’s what they said, but I couldn’t find it yet) of the descent! Why is recovering the First Stage of the rocket so important? Because the main expenses in a launch to space comes from the vehicle rendered obsolete after it did its job to deliver the cargo to space. You essentially build the same rocket over and over again for each flight and that’s expensive! The analogy for this is to throw away your airplane or car (or horse if you are riding one) every time you use it. You can understand that’s simply impractical! 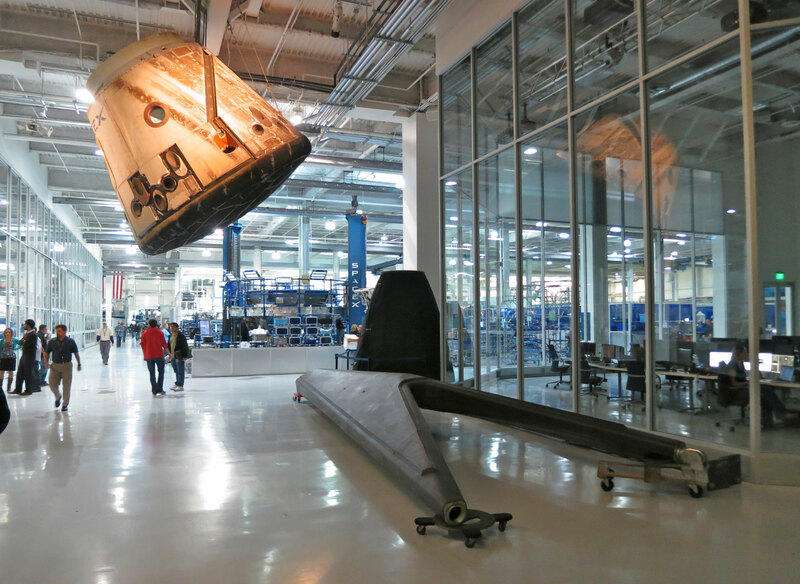 So, SpaceX are on their way to produce a Reusable rocket and what we saw on April 8 is one of the milestones they achieved on their way to make human space flight a lot more affordable (and going to Mars in that line of thoughts) !! If you are interested in watching some videos of their Reusable rocket tests, check them out HERE! And here are several images from different stages of the whole CRS-3 mission. 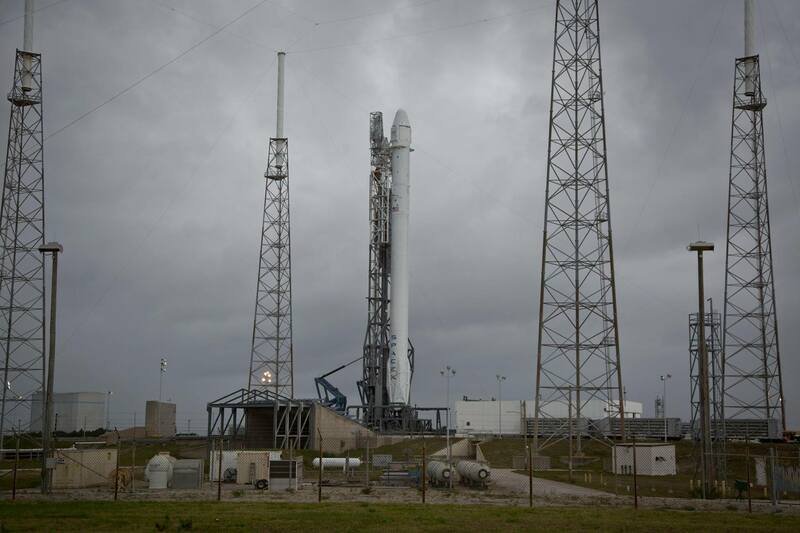 Falcon 9 is ready to be launched within an hour from Florida. The weather is bad at the moment and there is a good chance that the launch will be cancelled but for now all systems are GO! 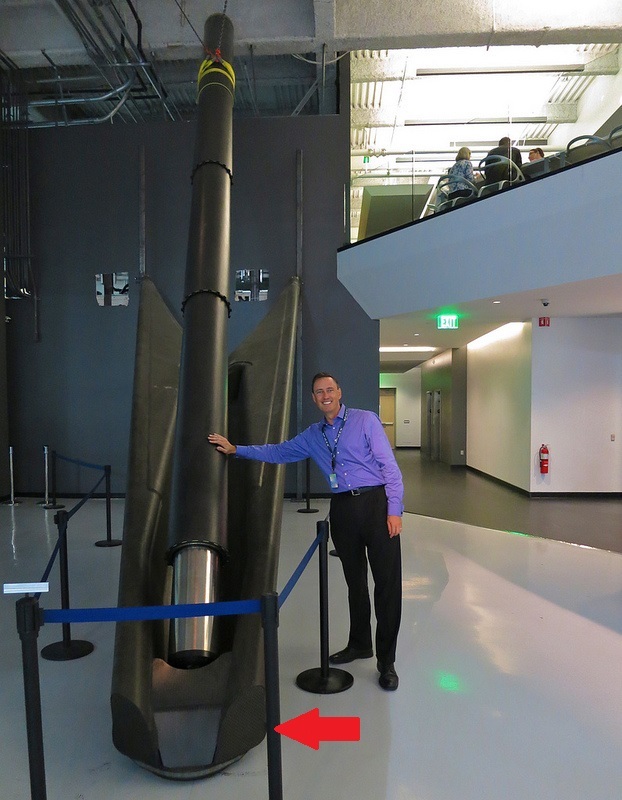 As we said earlier, the rocket’s scrub on April 14 (Monday) was due to a helium leak in a pneumatic valve, responsible for the stage separation of the rocket. The valve was not holding the right pressure and this meant that the stage separation would rely on a back valve which was in tact, but SpaceX’s launch policy is NOT to launch with any known anomalies. If today’s launch occurred, then the Dragon spacecraft will meet with the ISS on Sunday. 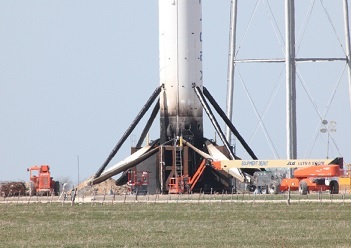 CRS-3 was scrubbed for a later day (earliest April 18). Today’s launch has been scrubbed due to a Helium leak on Falcon 9’s first stage. A fix will be implemented by the next launch opportunity on Friday April 18, though weather on that date isn’t ideal. Check back here for updates. 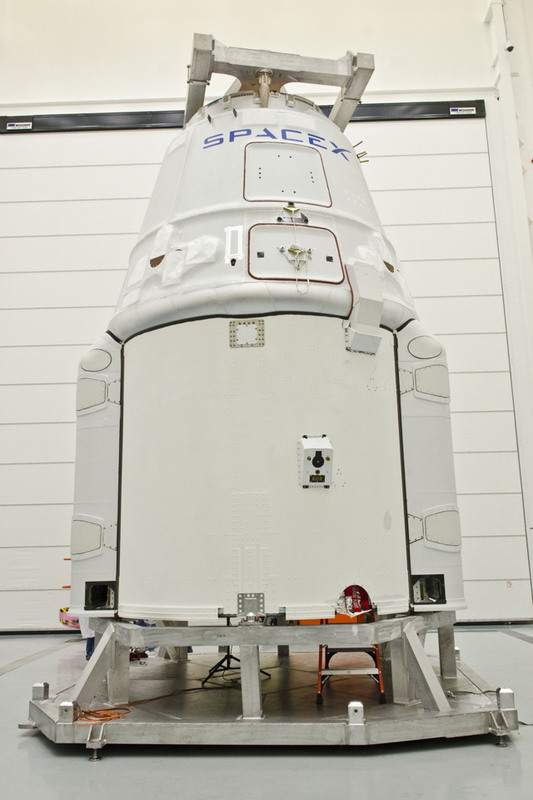 SpaceX is GO for the launch of Dragon to the CRS-3 today at 3:45 PM ET. 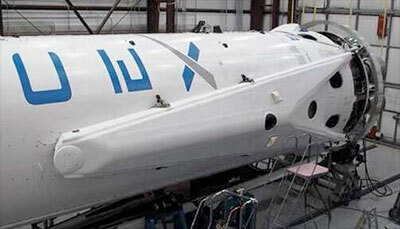 SpaceX’s CRS-3 is now targeting a launch on April 14! More information about Dragon’s Cargo and Information why Falcon 9’s Launch on March, 30, was postponed with at least several weeks to April. As we said earlier, Dragon on board the Falcon 9 is about to launch many science experiment to the ISS, but let’s take a little closer look at several of them. 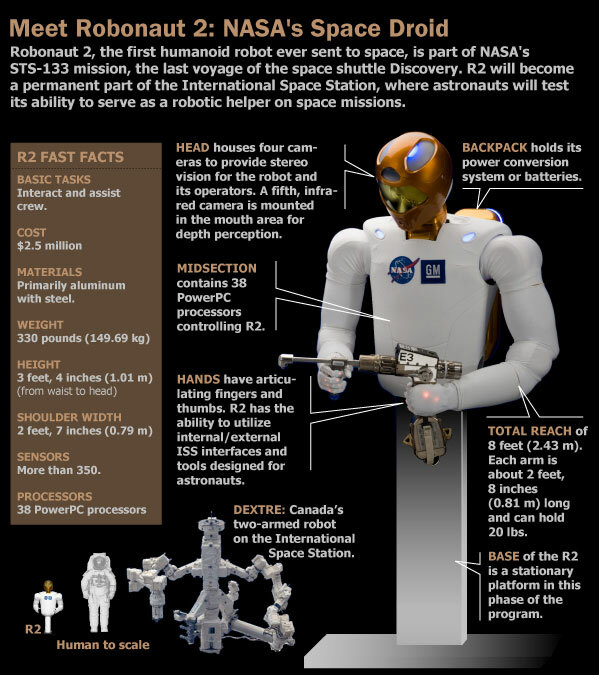 Last time (down), we talked briefly about Robonaut 2. 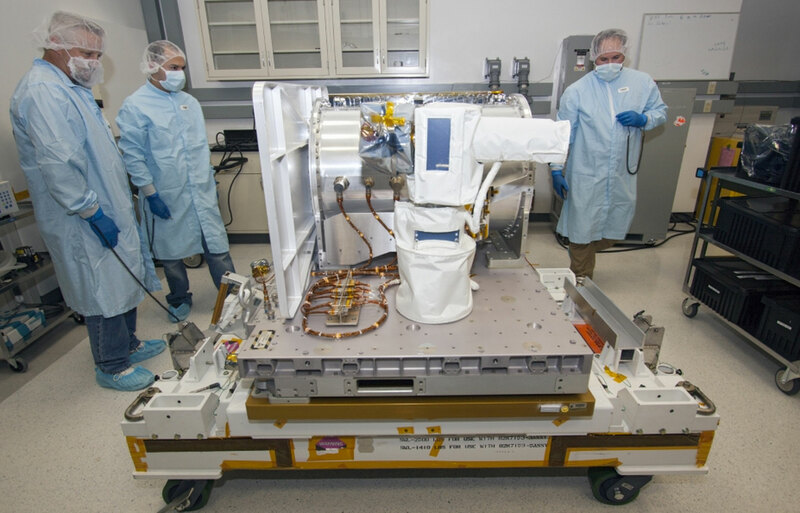 OPALS (short of Optical PAyload for Lasercomm Science) is an instrument that will be attach externally on board the space station with a nadir orientation (towards Earth) that will send a laser to a ground center. This optical communication (or lasercomm) is expected to increase the amount of information transferred to and from space 10 to 100 times. Up until now, all spacecrafts exploring the Solar system (including ones that landed on Mars) send back data to Earth via radio waves. With increased mission time of spaceships and the amount of data and science discoveries, these needs grow. So, OPALS promises higher data transfer rates. The Vegetable Production System is both a science experiment and a nutrition experiment. This is a container that will grow a salad-type of lettuce inside it. The container will use the cabin atmosphere to deliver proper temperature to the plants inside, but it will use its own lighting and nutrients. Then the vegetables grown inside will be tested by the crew in the space station if it safe and then eaten. Growing up vegetables in space has to be studied, because fresh grown vegetables help the astronauts on long trips in space to stay relaxed and avoid depression. This experiment will improve people’s studies of how plants grow in microgravity. 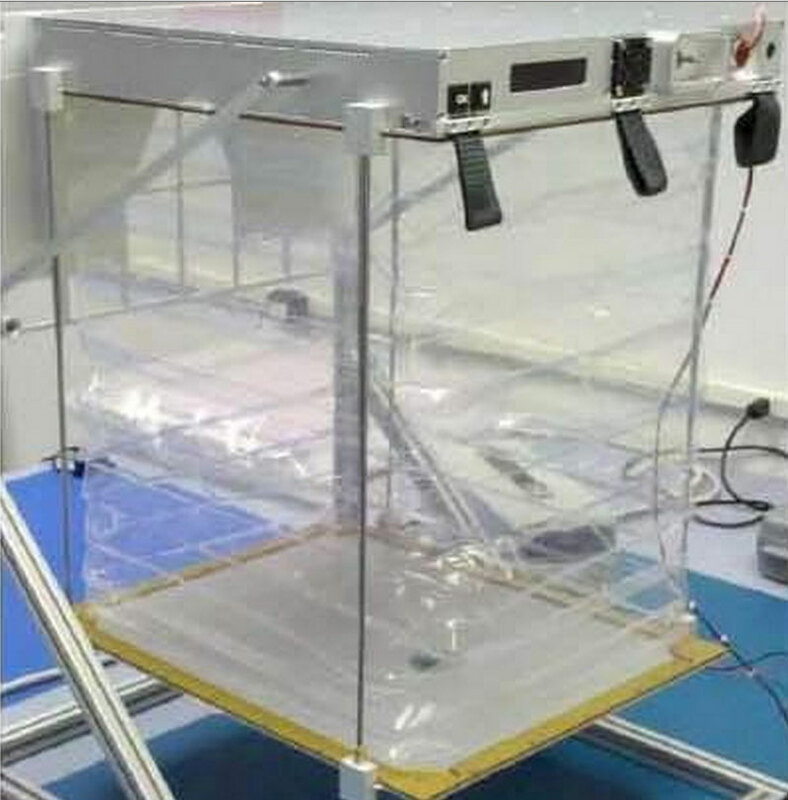 This is an experiment that will study how T-cells in the blood react in microgravity. T-cells are responsible for auto-immune response of the immune system against foreign antigens in the body. This will help treatment of auto-immune diseases. This experiment will place four commercially available cameras on the exterior of the space station for online high definition viewing of Earth. Each camera will be placed in a temperature-specific case, but it will exposed to the radiation in space. This will help scientists study if we need to design a brand new camera for viewing in space or any flaws that current designs of cameras might have. This experiment will see which commercially available camera is most suitable for space viewing. 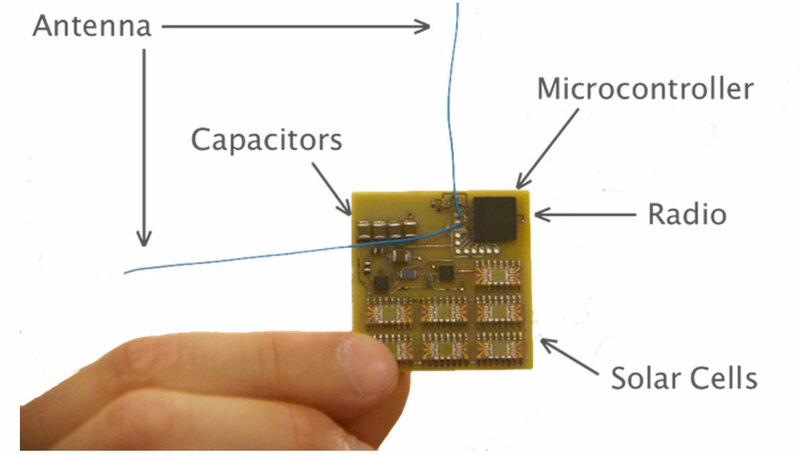 This is a very interesting experiment by a Cornell University graduate in Aerospace Engineering Zachary Manchester who wants to shrink the size of a satellite. His Kick Starter campaign was in 2011 and finally 250 of his small satellites are going to the ISS with Dragon! .. and a picture of Robonaut! 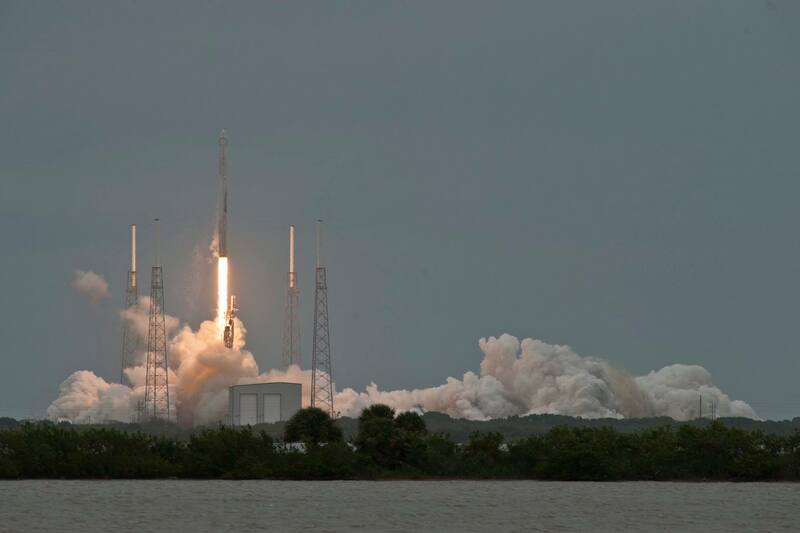 The outage of a crucial radar scrubs SpaceX’s launch for at least 3 weeks. SpaceX’s launch of Falcon 9 with Dragon on board was postponed to some time later in April due to the outage of a crucial radar system which is an essential asset and a part of the Eastern Range radar system that oversees launches from Cape Canaveral Air Force Station and the Kennedy Space Center on the Florida Space Coast. This radar is a minimal requirement for a rocket to launch from Cape Canaveral. On March, 24, a short happened and the radar caught fire. Urgent repairs are in progress. SpaceX postponed the launch of their Commercial Resupply Services Launch 3 (CRS-3), but they have a lot to think about. 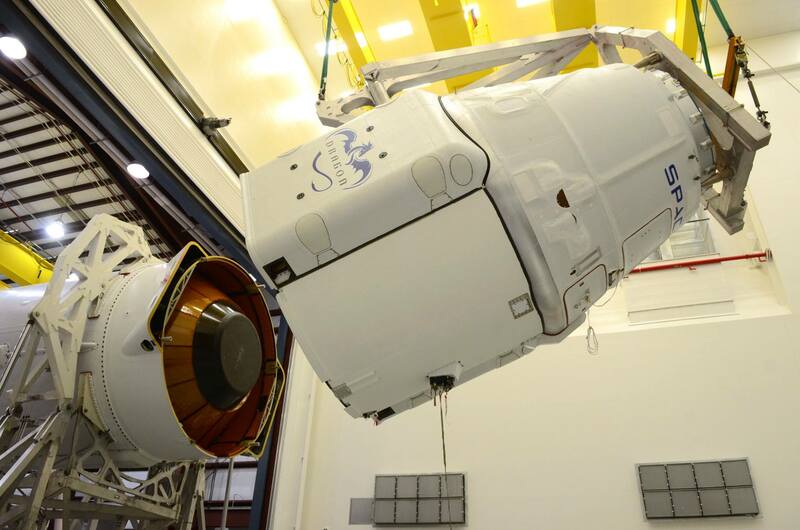 Let me introduce you briefly to some of the load of the Dragon spacecraft that SpaceX will deliver to the ISS. Dragon is expected to return more than 1600 kg of cargo from the ISS. Let’s talk briefly about Robonaut! It is a humanoid machine that is meant to help astronauts in space. It looks like a human form the waist up and was delivered to the ISS with the last flight of space shuttle Discovery in 2011. Now Robonaut will receive its legs! They will help the robot to grab itself to objects to move in space. 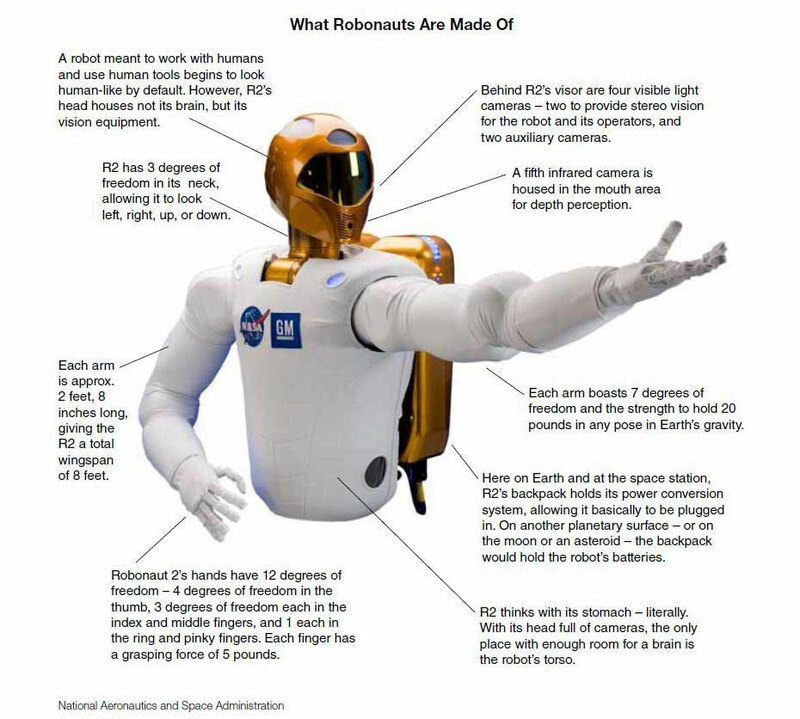 Robonaut is designed to some day help humans on their mission to Mars! 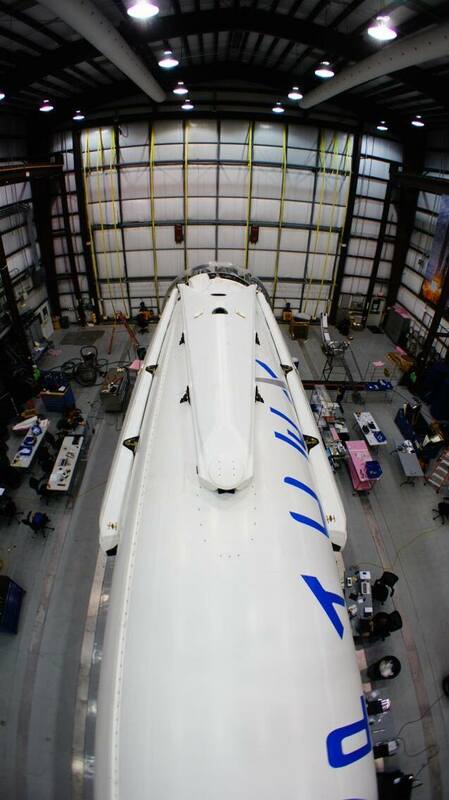 CRS-3 is not re-targeting its launch date for March, 30, 2014 with a back up date – April, 2! 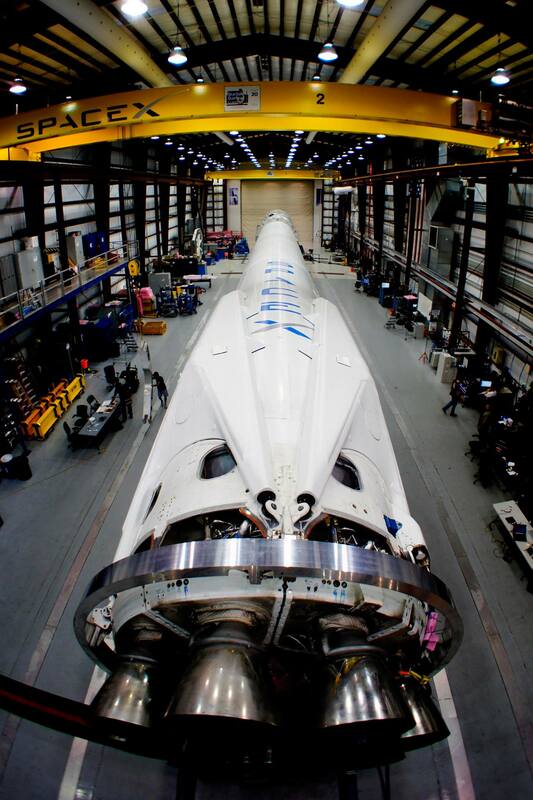 Falcon 9 and Dragon are put together for Sunday’s launch! 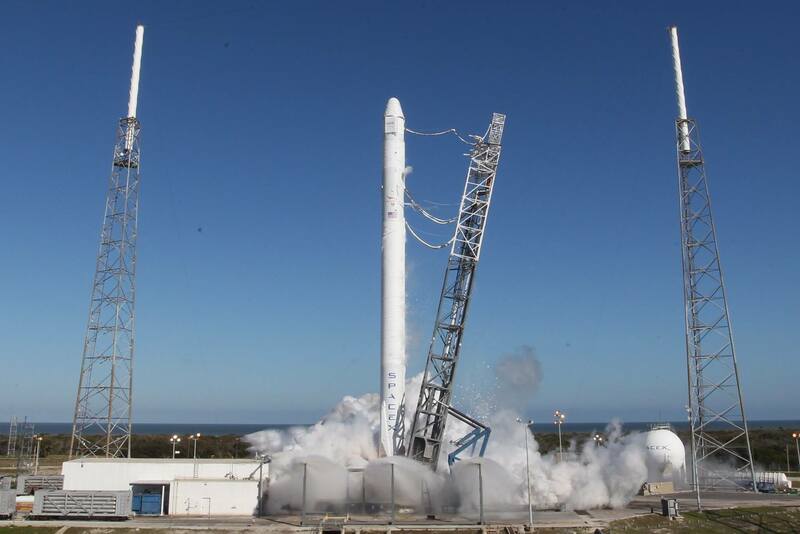 A few days ago, on Saturday, SpaceX did a pre-light/static fire test of its Falcon 9 v1.1 rocket on the launch pad. This is to ensure that the rocket is ready and all systems are tested and go for its upcoming launch to the ISS on March, 16 from the Cape Canaveral Air Force Station (CCAFS). Falcon 9 will carry the SpaceX’s CRS-3/SpX-3 Dragon spacecraft which will deliver supplies and scientific experiments to the ISS. 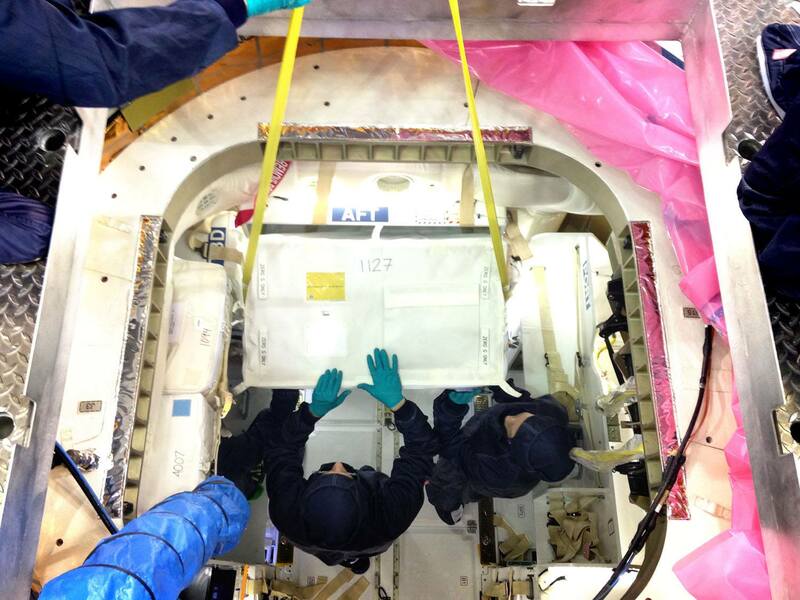 On this image people are loading the spacecraft before its launch on March, 16. On another note, (read the following very carefully) SpaceX attached landing legs on the rocket’s aft to the Falcon 9 this time! 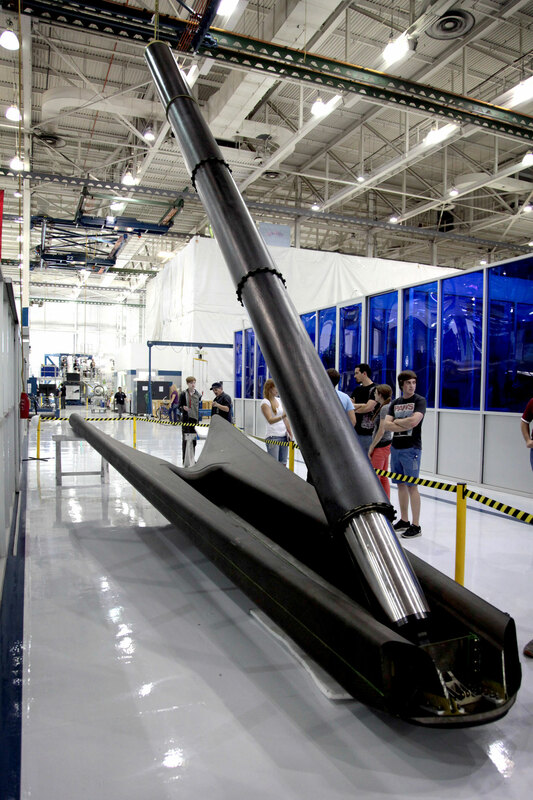 The landing legs are made of carbon fiber and have a honeycomb of aluminum. They are 4 and a symmetrically put around the aft of Falcon 9. 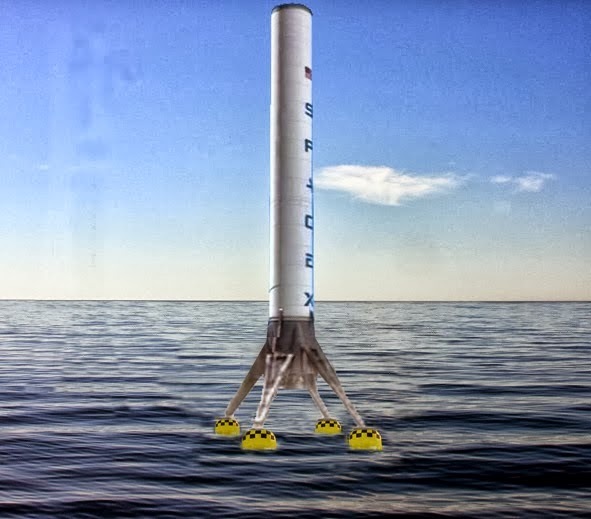 During launch, the landing legs will be stowed around Falcon 9’s body and after the rocket’s first stage booster is jettisoned above Earth, it will re-ignite its engines, extend the landing legs down and outward for landing (span of about 20 meters) and it will try to soft-land the booster on the water in the Atlantic Ocean. Vertical landing of the first stage booster with landing legs will be done only when SpaceX feels confident that the system is safe enough. 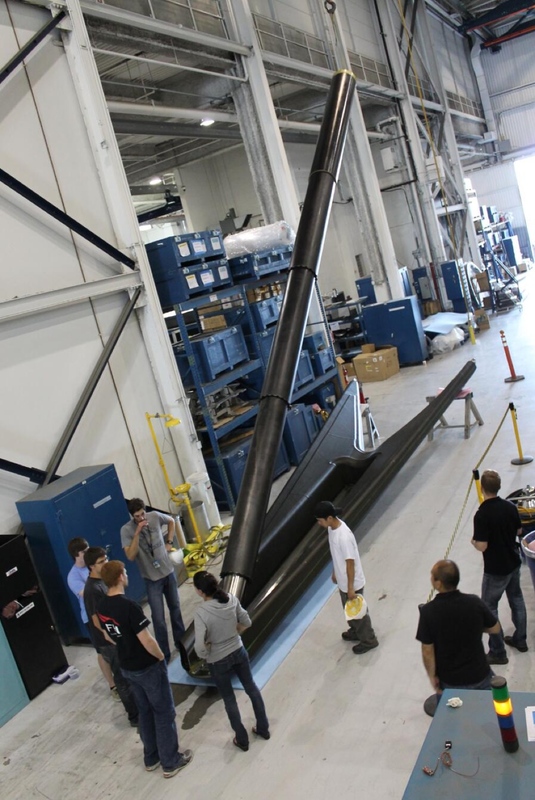 In October, 2013, SpaceX finished an extensive Grasshopper project that researched and tested the possibilities to re-use the first stage booster of Falcon 9. This will ultimately create a reusable system for going from Earth to space which will decrease costs of space travel tenfold. This is a true revolution in space travel! 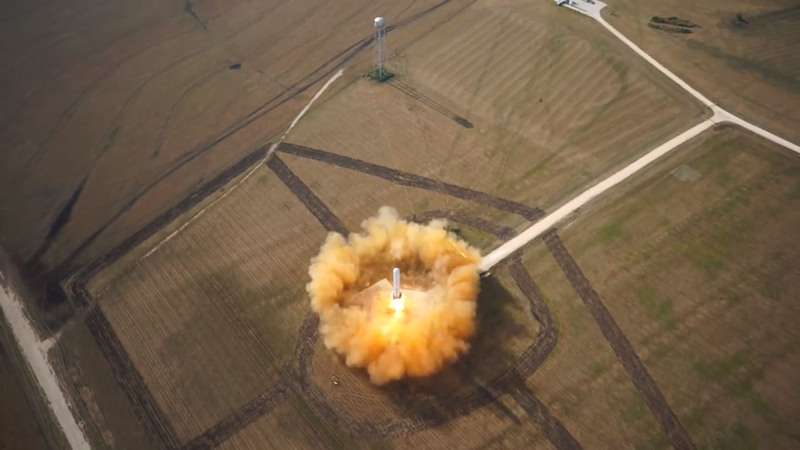 This year begins an expanded program than Grasshopper at a new SpaceX site in Spaceport America in New Mexico with a new prototype called Falcon 9R (from Reusable) which will be outfitted with 9 Merlin 1D engines instead of the 1 in Grasshopper. This will ensure higher testing altitudes and faster rates of descent. On March, 16, we will post here SpaceX’s Webcast. Make sure to watch it. I know I will! Please, visit our Facebook page!